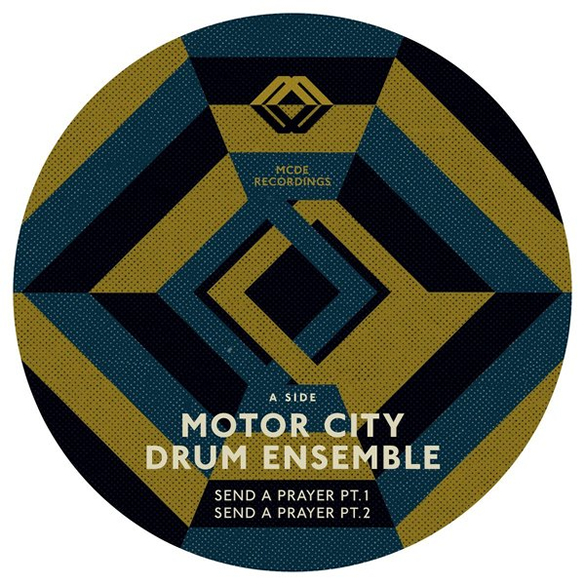 New Motor City Drum Ensemble!! Awesome gospel inspired 4 Track House EP from THE brother from another…Motor City! TIP! It was in 2011 that Danilo Plessow aka Motor City Drum Ensemble released his DJ-Kicks compilation to a stoked crowd, showing an unusual amount of wisdom for a producer that young. Now, he returns to his best-known moniker – having been on hold since that exciting remix for Midland’s “What We Know” in early 2012 – with another reboot of sorts: choosing his own MCDE imprint as stage for the new record, Danilo directly confronts the legacy of his insanely loved “Raw Cuts” that brought the bounce back to Deep House, injecting a blueprint grown stale with much-needed emotions and rejuvenating DJ crates worldwide. It is surprising, then, that the latest entry in the series is only the tenth release in a discography seemingly consisting only of classics, but as MCDE’s A&R, Danilo & his partner Pablo Valentino (FACES Records / Creative Swing Alliance) intentionally kept the young labelâs artist roster small, focussing on quality output instead and giving the sound room to breathe. While there are plenty of successful House templates floating around, none defined its roots in sampling as thoroughly as MCDE & Raw Cuts did, and it’s happening again with these four impressive workouts condensing all we love about the genre, resulting in a show-stopping record sure to set even the most distinguished floors on fire. 2013 should consider itself a lucky year, because Motor City Drum Ensemble is back in the producer’s seat and that’s a very good thing. Why did you decide to release some tracks of your catalogue digitally? We still really believe in vinyl and it is my preferred way to DJ, but at the same time we don’t want to sell vinyl only and give everybody the chance to legally acquire our releases. So we decided its best to first release the vinyl version and after a couple of weeks the digital one. What projects have you got for the future on MCDE Recordings? We have a release coming sometime in April from a Canadian newcomer with a Fred P remix on the b-side. And there will defiantly be some more in the near future. If you had three wishes to improve the music scene of tomorrow, what would they be? Less Mobile phones in front of the DJ booth. More quality control with digital releases. More kids getting into jazz, soul and “the roots” of today’s music. As you have a lot of experience in the music scene what advice would you give to young people starting out? Stay true to yourself and try to find your own sound. Don’t over think things; sometimes the spontaneous things are the best. And lastly, think outside the box. If you only listen to electronic music, your influences are very small. You are what you listen to and get inspired of, so go ahead and do some digging! What makes you proud of today? It’s really nice to see so many young people into eclectic music these days. There is lots of talent out there!